Country living is not quite as good as it is cracked up to be if you cannot enjoy good music on a quality sound system, have access to good broadcasting, communicate with business and family via the internet and, when on vacation or away for the day, have assurance your home is protected by a first-class security system. There is one more component that makes all these conveniences particularly possible and pleasurable—the people who make it all happen. How many times in your life have you found a company that does exactly what they promise? I made the call to Smart Systems and I was impressed from the beginning with how efficiently they connected me to the person that could make all our dream plans (honestly MY dream lol) come true. 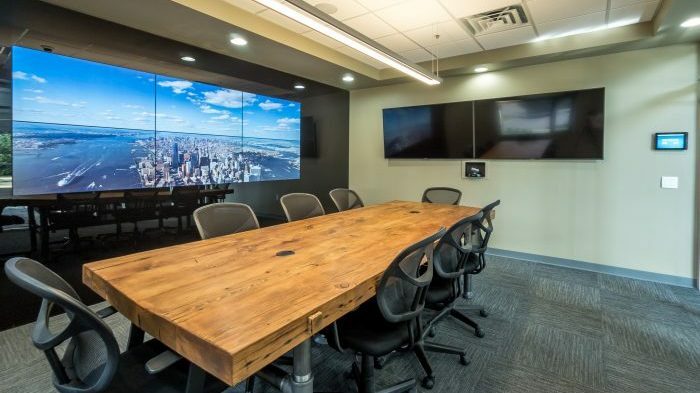 Smart Systems provided a number of different products and services for a building remodel in downtown Chattanooga. They installed our high definition security system with DVR, our wired and wireless network, our audio/video system and a building access system. From the design, to installation, to service, the team at Smart Systems have always been professional, fast and easy to work with. I would recommend using Smart Systems for any and all of your smart solutions needs. I have used Smart Systems for over 13 years now (at two different homes) and have always been impressed and pleased with their services. Their promptness, professionalism, and expertise is exemplary and we look forward to their services in the years to come. We LOVE our SONOS system! Dance parties for all of us, teens and adults, or background music for dinner parties, or during the day as we enjoy our deck. The system is in main areas of our home and we love it! Easy to use with your app! I had Smart Systems come out and install the Sonos soundbar, sub, and hang my 70" TV on the wall in the Living Room. They could not have been more professional. They came out on time, got all the work done in a timely manner, and showed me how to operate everything. I could not have been more pleased with them and will absolutely use them in the future for all future audio/video projects. Highly recommended! Smart Systems does a great job coming up with the best solution for your needs, and they do a great job of maintaining the system after it is installed. 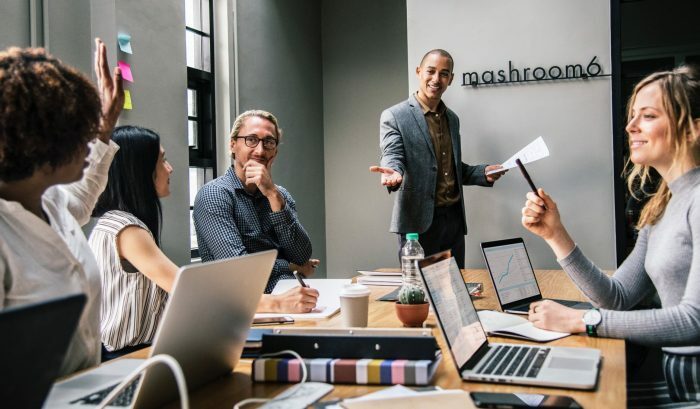 Chris Smith with Smart Systems came in and gave me a comprehensive assessment of the IT needs for my small business in a very professional manner while putting everything in terms I could understand. 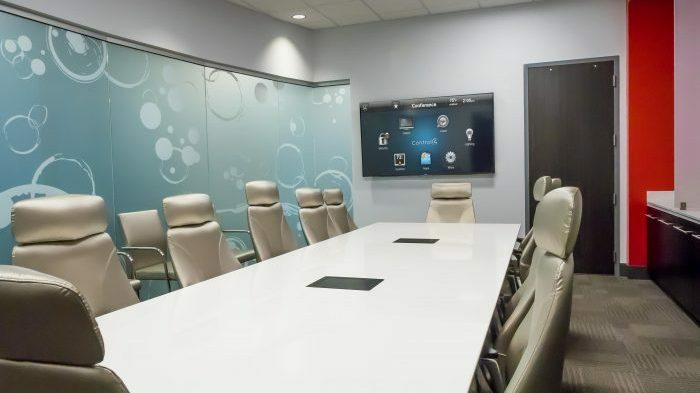 I trust Smart Systems with the security and IT issues at my office; they make it easy and are the most accessible group I have ever worked with. I recommend them without hesitation. Jennifer or Sarah are always quick to answer the phone and get us the help we need. The techs (Gus handles most of our system needs) are thorough and efficient and take the time to walk us through any changes. We have had such a great experience with Smart Systems. Their team has treated us with great respect and have always been prompt no matter how big or small the job! I highly recommend these folks! Smart Systems helped us update our home with new smart TVs, speakers throughout our home, and monitoring. The upgrades have changed how we enjoy our home, making relaxation and entertaining easier. Their staff is reliable and professional. I highly recommend them! Several years ago I moved into a home in which Smart Systems had previously installed a system. They worked with me to update the system and make some changes. I was very pleased and impressed with the installation team and the updates. I would definitely use Smart Systems in the future. I’ve had several interactions with Smart Systems in the 3-4 years I’ve been a client, and all have been excellent. Service is quick, almost always can be done remotely. All personnel, both remote and on-site, have been friendly and professional. Love my Sonos system. I feel like I’m in the theater! Great sound for TV and music! I was impressed with your staff who came to my residence to install our big, flat-screen TV... ...All in all, they did a fine job. Everyone should have a crew like them installing electronics. Not only was I satisfied, but I will be calling you in the future and I certainly will recommend you and your personnel to friends. I have used Smart Homes/Smart Systems in five houses. You and your crew (Noah and Tony) are a pleasure to work with. While I do not look forward to moving again, I do look forward to my next project with Smart Systems! Smart Systems just completed TV and audio for State of Confusion. This is their fourth project they have done for us. All work has been exceptional, and their staff are true professionals. Highly recommended. Our experience with Steve and his team at Smart Systems was seamless. 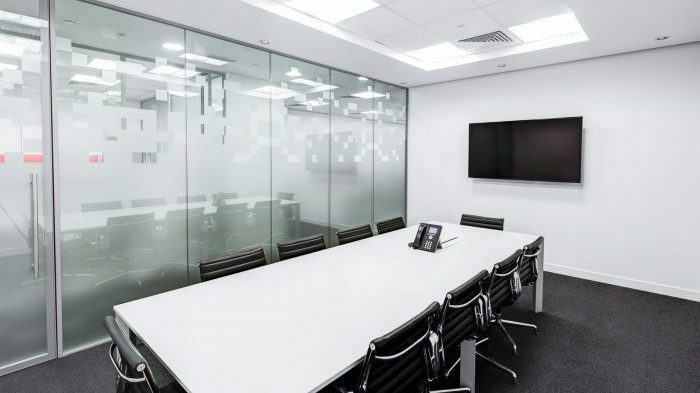 We needed a video conferencing system in quick order and they delivered from specifying cost effective solutions, to install and follow up service. The system is performing flawlessly with reliability and virtually no lag time - we could not be more pleased. Smart Systems has knowledgeable and polite staff. This is the 2nd system they have put in for me and the installations have always been handled very professionally. The quality of the end product is top notch and they are always available should you need service. These guys are like a surgical team. I’ve used them for years on several projects and they’ve always been punctual, on point and on budget. I don’t even call anyone else when I need internet, security or home theater work done. Smart Systems completed an entire project for our new pool & fitness center including AV and security. The quality of their work was exceptional, their staff are knowledgeable and very professional. We now have a system that is second to none in any private club in the area. We will continue to use them to expand AV throughout the remainder of our campus without reservation. It is truly a system that I have no problem recommending to my friends. I might also add that all who have worked in our home have been nothing but very professional and helpful in all that was done (Tony, Nick, Noah and Steve). The service was excellent, from the time I met with the salesman to the time the system was installed. The system sounds and runs great! My wife likes it because there are no wires, no cable boxes and one remote … nothing to do except watch, listen and enjoy. I had always wanted a home theater system in my home. Smarthomes provided me not only the system, but the TV and found a cabinetmaker that make my arrangement the envy of my neighborhood. Thank you all so much for how you have changed our lives at home with the wonderful sound system and TV add-ons (Apple TV) and Sonos. Just wanted to let you know we are thankful and happy customers!! We could not have been any happier with our experience with Smart Systems. By far, they were the most clean conscious sub contractor for our new home. Extremely professional and all of their staff were extremely knowledgeable about their products. Highly recommend Smart Systems. I must say, the crew that installed my equipment were the most kind, hard working, knowledgeable, and friendly people I´ve had the pleasure of doing business with. It was a very professional install with extreme care taken to preserve the newness of my house. Smart Systems takes home entertainment and music to an unbelievable level. Their equipment and installation professionals are tops! For my Dedicated Home Theater that you put together for me, all I can say is WOW!!! Working with Smarthomes was a very positive experience. The work was done in a professional manner and promptly. Everyone I dealt with has been accommodating and helpful. I will definitely call on them in the future. Smarthomes is amazing! I could never have imagined my home entertainment system could sound and look so good!! We are two years into our Smarthomes entertainment system and still sit in awe of the visual clarity and excellent sound the system produces. Smarthomes did an excellent job for us in the installation and teaching us the system. You provided exactly what I wanted with no pressure to do more. I am planning on upgrading to some extra features in the future. Smarthomes takes customer service to a whole new level. The products are top quality, the workmanship is excellent and the time they take with their clients to explain the products was perfect. Hats off to Tony, Ben and Jon and the rest of the crew. We know ours was a tough installation, but you guys pulled it off. You went above and beyond the call. What a great bunch of guys. Smarthomes exceeded my expectations by digging in, understanding the problem from end-to-end, and designing and delivering a system that provides all the required functionality and has performed flawlessly since day one. I called Smarthomes and they came immediately to help this lady in distress. They checked out everything and agreed to take on the problems and promised that my system would run flawlessly when they were finished. Am I happy? You bet! Smarthomes gives you a great investment! They hire the best staff. They install the best equipment. They provide the best support. I just want to comment on the superb experience that I have had with Smarthomes. The entire staff has been professional, responsive, and a real pleasure to work with!! For a builder, these are rare commodities in a material or service provider. We were so pleased with our Smarthomes installation. The entire team was very friendly and professional. We look forward to many years of convenience and entertainment in our very smart home. In a time where customer service is almost non-existent, Smarthomes Chattanooga and all of their employees go way beyond the expectation of what one might imagine! I would highly recommend Smarthomes Chattanooga for any new customer. My experience with Smarthomes has been a pleasure. They do what they say, when they say; a rarity in this modern world. The installation was very professional and very well done. Mark did a sensational job and helped me get started on my new system! Smarthomes was able to provide exactly what we were looking for in an integrated media system. Smarthomes was competitive, responsive, and professional - I have and will recommend them with confidence. Smarthomes Chattanooga- As the name implies everything was smart about them, from their employees to their products and to their workmanship. Their work was impeccable and efficient. I will definitely use them in the future. I am not only impressed with the professional quality of management and the technicians, but the friendly manner in which they operate. They quickly became family, and soon produced top quality video/audio, all simplified. Thanks Smarthomes Chattanooga, for a job well done. Our experience with Smarthomes Chattanooga was a positive one. Their staff was efficient, friendly, and reliable. With Smarthomes high tech upgrades, you will be the envy of all your friends and neighbors. It was a pleasure working with the professionals at Smarthomes during the design of our system and we have a very functional system that performs exceptionally. Without hesitation, we strongly recommend Smarthomes! The quality of customer service provided by Smarthomes ranks among the best I've ever received from a retail business. I would highly recommend this company for top quality products and excellent service. Get News, Offers & New Ideas about Technology. We take your privacy seriously and we won't spam you.